Westpark is located on the near northwest side of Indianapolis, conveniently close to Interstates and within minutes of numerous local hospitals. 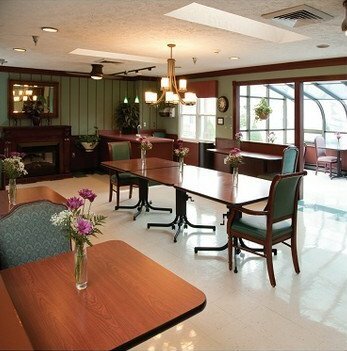 Residents and their families appreciate the spacious rooms and suites, the beautifully landscaped internal courtyards and the airy dining room with greenhouse, skylights and fresh flowers everywhere. Westpark specializes in rehabilitation of individuals who have lost strength and abilities due to a stroke, cardiovascular difficulty, fractures and/or other debilitating conditions. Facilities and services include a beauty/barber shop, daily exercise/wellness classes, and delicious, individually-tailored home-cooked meals prepared by a full-time registered dietitian.